The Bayonne Complete Count Committee will be hiring several residents at a job fair to be announced this month. The U.S. Census, conducted every 10 years, is a big deal this time around. Federal funding and political representation for New Jerseyeans may be at risk if the count is not accurate. That’s the message officials with the NJ Complete Count Commission, the Hudson County census planner, and local nonprofits brought to Bayonne on April 3 in preparation for the 2020 census count. All residents will be asked to provide their names, ethnic identity, residency, age, and household information. What’s different about the 2020 census from previous counts is that this time, people can fill out their form online as opposed to the mail-in print forms of old. That makes completing the census more convenient for many who conduct much of their lives on the internet, but also brings some downsides. 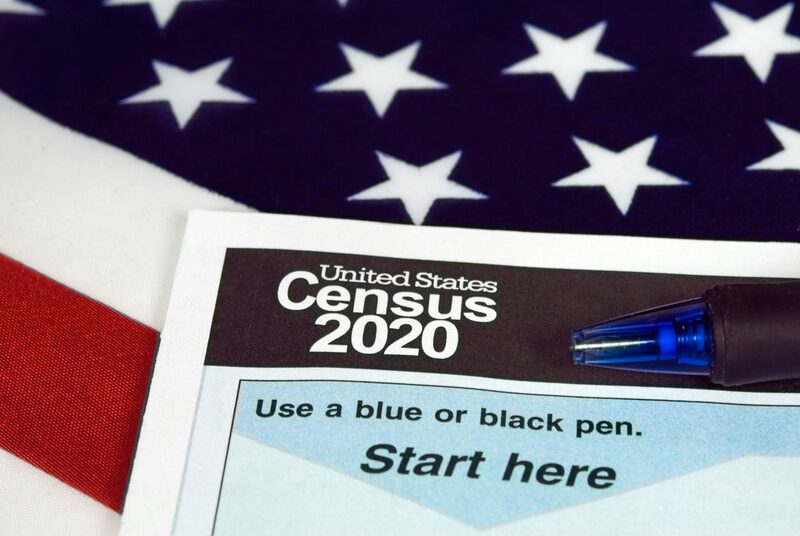 “The hope is that most Americans will register themselves for the census on the internet,” said Bayonne Complete Count Committee Chair and Bayonne Public Information Officer, Joe Ryan, who acknowledged he has “mixed feelings” about the new count system. The other problem is ensuring that people responding to the census trust that their information will not be used against them. For instance, a foreign-born, non-citizen might be legitimately worried that their information will be used by immigration officials to capture and detain them and their families. But the Census Bureau is bound by Title 13 in the U.S. Code that prohibits releasing information about people for 72 years. Census results from 1940, for instance, are the most recent to be declassified. The Trump Administration, meanwhile, is facing court challenges to its attempt to add a citizenship question to the census. A final decision rests with the U.S. Supreme Court, which is expected to hear arguments on the issue this month. The Associated Press reports that the U.S. Census Bureau is planning to access Department of Homeland Security files on millions of immigrants, including non-citizens, for its 2020 count. The files include citizenship status, addresses, birth dates, and Social Security numbers. Anyone who uses the internet is familiar with the ease with which an anonymous person can mislead and scam others into divulging sensitive information. Groups, domestic and foreign, could try to scare people into not answering the questionnaire, downplay the importance of it, or trick people into believing they’ve already responded. This is a worry for advocates, who said disruptive information campaigns are already being spread. Census officials have been purchasing web addresses that could be used to spoof an official web address. The website for the census will be census.gov. Any purported census website without a “.gov” domain is fraudulent. Patricia Williamson, project director for NJ County, a program of the NJ Institute of Justice, talked on April 3 about the challenges in counting marginalized communities, such as immigrants and people with low incomes. “Hard-to-count neighborhoods” are defined as having response rates of less than 73 percent. All Americans share resources to fund vital social services, such as education, healthcare, housing, food assistance, and transportation infrastructure. New Jersey currently receives $20 billion from the federal government, collected through federal taxes, for aid in these areas. If the census counts fewer low-income people than there really are, New Jersy taxpayers will inevitably have to make up that cost. New Jersey has nine times the population of Rhode Island; yet has the same number of U.S. Senators, and an inaccurate count could result in the loss of another seat in the U.S. House of Representatives, where seats are determined by population. The Bayonne Complete Count Committee’s job is to publicize and support Census 2020 in Bayonne. The U.S. census Bureau has the authority to count the population and to hire people to carry out that task. Census takers can make $22 per hour. A job fair will be held at some time in late April, according to Ryan.